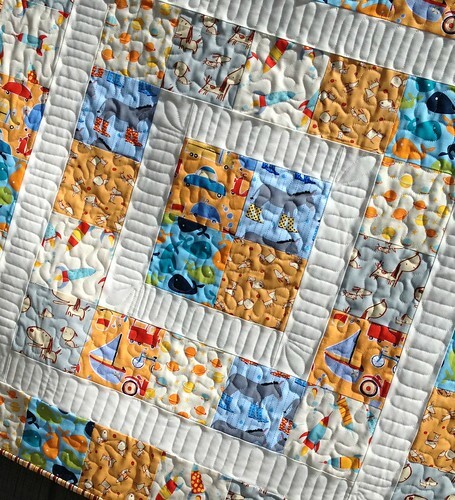 Today I'm so happy to share this fun baby boy quilt. 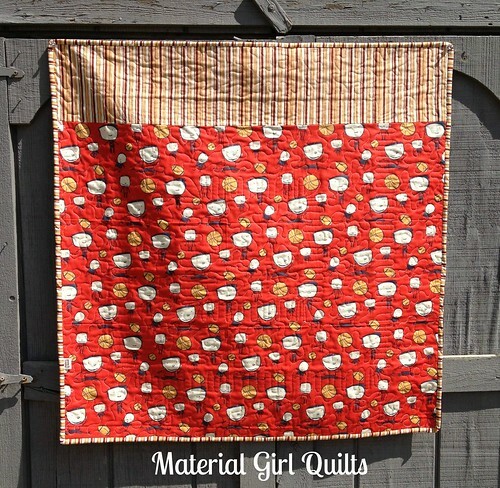 The design was inspired by Made by Rae's Storytime Squares pattern. I altered it a bit because I used 5" cut squares and did not add the last sashing border. It was so quick and easy to put together I have decided that I must make another one in the future. My version finishes at 36 1/2" square, perfect for toting along in the diaper bag or covering a car seat. 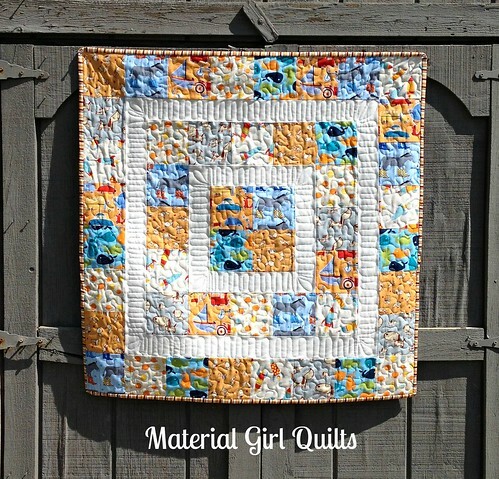 The best thing about this quilt is that everything was pulled from my stash! No trips to the store were necessary (I really need to do more of this). 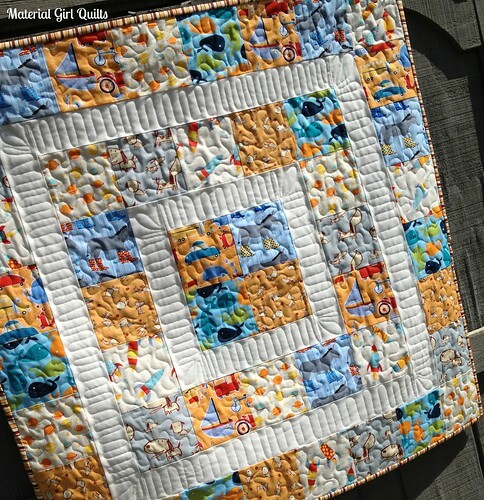 I think my favorite fabric in this quilt is the donkeys wearing Wellies...adorable! For the quilting I did a simple meander across the printed blocks and quilted the borders differently using my favorite Aurifil 50 wt. color #2021. I love the effect it creates. I almost had enough of this fun boy basketball print for the back. I really wanted to use it because this baby boy's dad loves basketball and even coaches the high school team. So, to make it big enough I simply added a bit of the stripe fabric I used for the binding. It worked out perfectly.